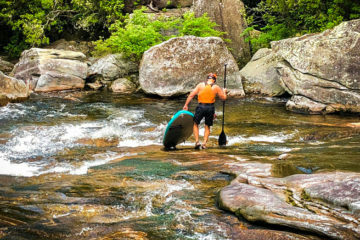 Were you to meet 34-year-old Laura Farrell at the local brewpub or on the trails near her home in Bryson City, N.C., you might never suspect that she is an absolute crusher on the water. 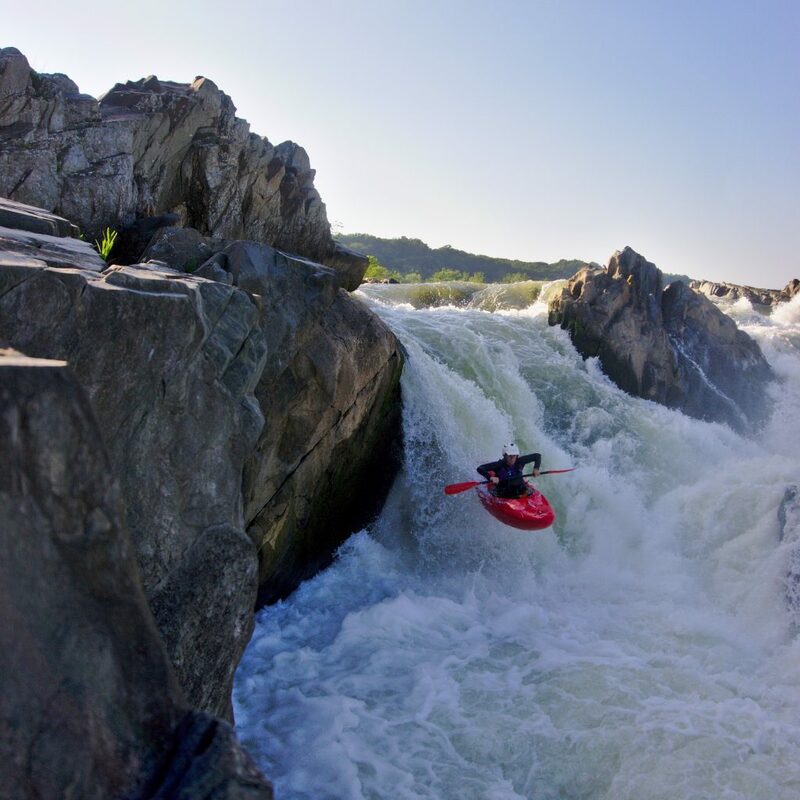 Down-to-earth and overstatedly modest about her nearly two decades’ worth of paddling experience, Farrell has kayaked all over the planet (17 countries to be exact) and consistently placed in the top three at some of the toughest whitewater races in the world. As a member of Team Dagger, Farrell won regional class V staples like the Green Race (2009, where she tied for first) and the Lord of the Fork (2010). 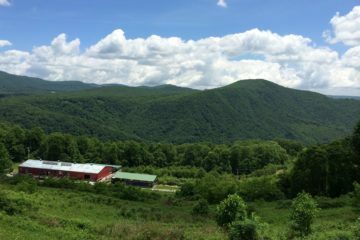 Beyond the Blue Ridge, Farrell has placed first at the prestigious Cherry Creek Race (2010) in California and the Valsesia River Festival (2014) in Italy. She’s plunged over 70-foot waterfalls in Chile and executed numerous self-supported kayaking trips from California’s South Merced (2010) to Siberia’s Biluti River (2017). Pretty impressive for a Tampa-born mechanical engineering major. At the time, says Farrell, the majority of Green River Narrows paddlers were male. She knew of a handful of women who were paddling hard whitewater, but there weren’t many, and it was a rarity to actually see them on the water. But about five years ago, Farrell began to realize that the number of female paddlers was changing. The result was the Green River Takeover. The inaugural event took place in October 2014 and brought out 52 ladies who all paddled the class III+ Upper Green. Nearly half of the turnout continued downstream to paddle the class V Narrows. Since then, attendance at the Takeover has continued to rise. Last year, 87 women kayaked the Upper and 43 of those additionally paddled the Narrows. About the same time Farrell began the Green River Takeover, she started a new career at National Geographic, which turned her into a weekend warrior. While she’s still kayaking the Green and going on paddling expeditions abroad (she just returned last month from a playboating trip to the White Nile in Uganda), she says there’s no doubt her relationship with kayaking is evolving. 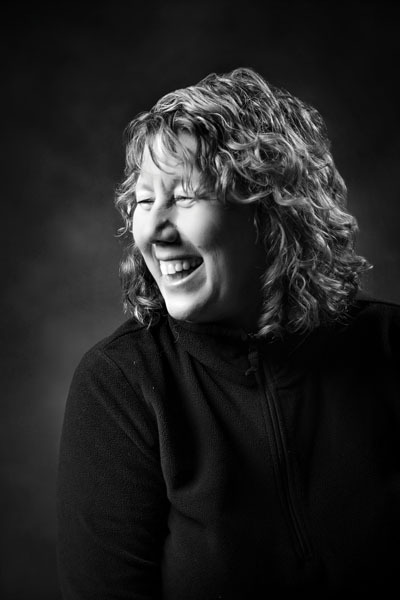 Kathy Zerkle has come a long way since she quit her job as a dental hygienist in Buffalo, N.Y., and moved to the rim of the Grand Canyon with lofty aspirations of being a raft guide. “I had gone rafting in Ohiopyle and was psyched about that, so I figured, I had moved to Arizona, maybe it was time to spread my wings to see if I could become a raft guide. I must have sent letters to almost every river company in the country practically,” she says. 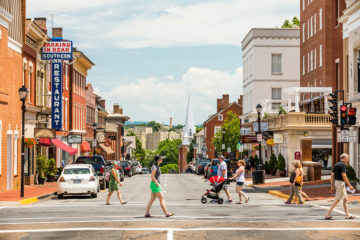 “The only one that responded was North American River Runners (NARR),” located in Fayetteville, W.Va. This was the mid 1980s, before the days of the Internet, so through snail mail and some level of assumption on the part of NARR, Zerkle was offered a spot on the company’s raft guide training program largely because NARR thought Zerkle was already a Grand Canyon raft guide. But Zerkle was determined to be a raft guide, come hell or high water. She stuck it out, and eventually checked out to be a commercial guide on the New and Gauley Rivers. 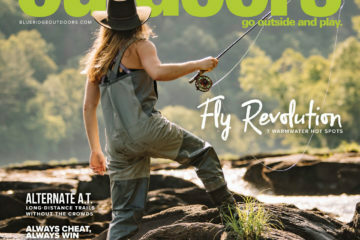 She went on to become NARR’s river manager for five years, which provided her with year-round work and benefits, a huge step up for any raft guide. That’s not to say that being a raft guide or river manager got easier over time. Zerkle, on the job with a shoddy crew. Zerkle eventually decided to go back to school and became a nurse, which didn’t suit her altogether. “I don’t want to be a nurse full-time. I get grumpy, like, this-is-crushing-my-soul grumpy,” she says. 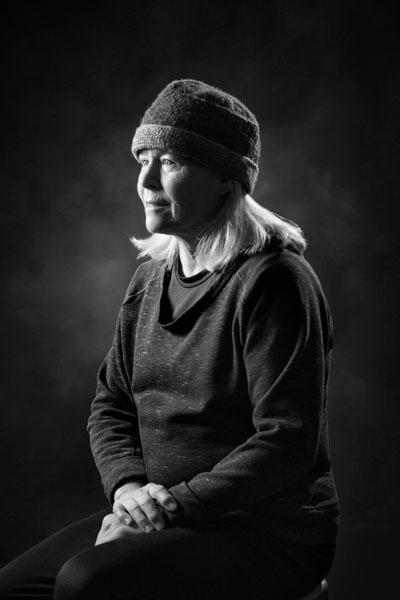 So for years she worked part-time as a nurse and raft guide during the summers and as a ski lift mechanic in Telluride, Colo., during the winters. In 2008, when Zerkle received the chance to serve the rivers she loved so dearly as a National Park River Ranger, her answer was a no-brainer. During the season she’s on the water three or four days a week, assisting in evacuations or helping pick up trash. When she’s not monitoring the New or Gauley Rivers, she’s training other river rangers and paddlers in swiftwater rescue. 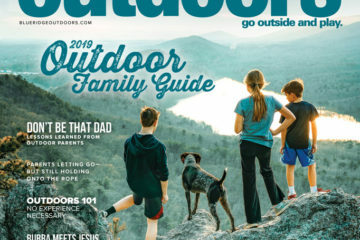 You’ll know Zerkle when you see her—always smiling, brimming over with a contagious zeal for life, she’s the only female river ranger out of the New and Gauley’s four rangers, and she’s always in a cataraft that says “PARK RANGER” down the side. In lieu of customers, Zerkle now rafts with trash. 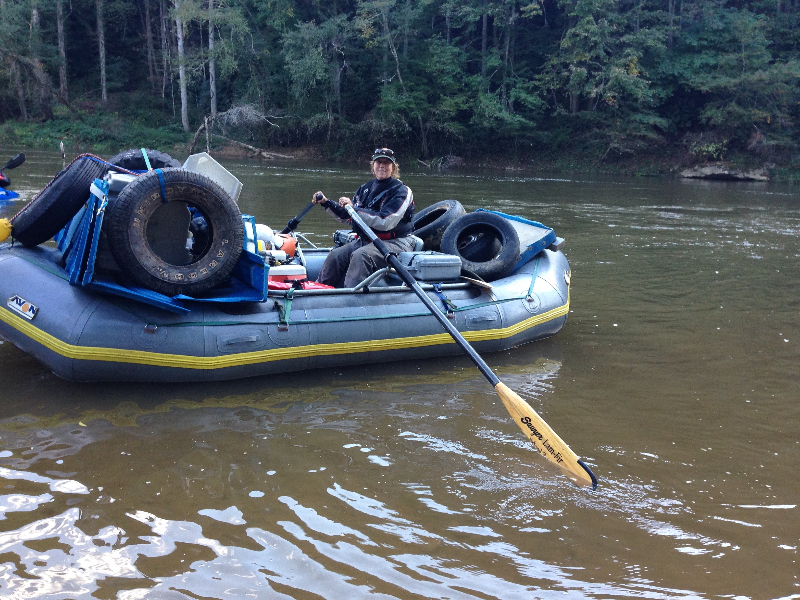 Imagine navigating the Upper Gauley with a boatful of tires as your crew. Age is just a number to 66-year-old Diane “Dee” Thomas. 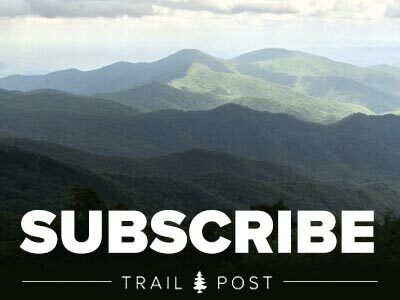 For over 40 years, Thomas has been rock climbing and skiing all over the world, sharing her passions along the way as an outdoor educator, a career that all began back in 1979 at North Carolina Outward Bound. 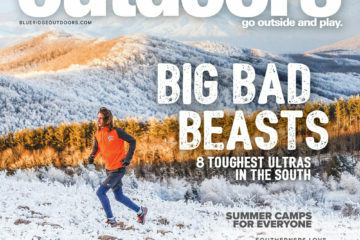 Thomas worked off and on for 10 years as both an instructor and course director for Outward Bound, expanding her climbing repertoire well beyond the Linville Gorge. Her more-than-60 climbing expeditions include summits of Mexico’s Popo and Izty volcanoes, Mount Pisco in Peru, and Mount Kennedy in Canada. 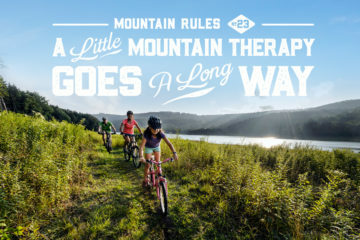 But for all of her worldly travels, the thing Thomas is most respected for is her instrumental role in the advancement of adaptive adventure sports. In 1996, Thomas began working for Alpine Towers to provide workshops on high ropes programming for people with disabilities. 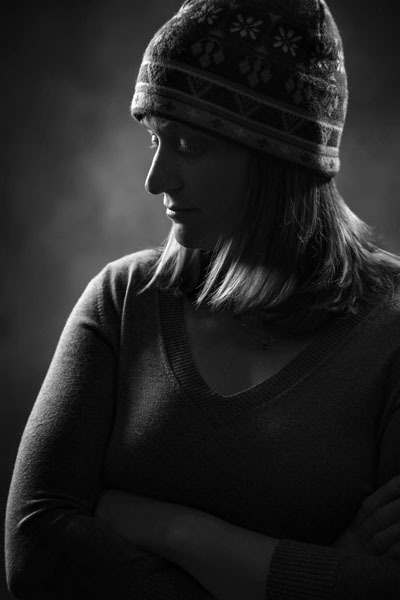 Her experiences inspired her to develop four adaptive climbing harnesses (the first of their kind) with the help of Misty Mountain Threadworks and create Beech Mountain’s Adaptive Snowsports Center in 2001, which she directed until 2007. 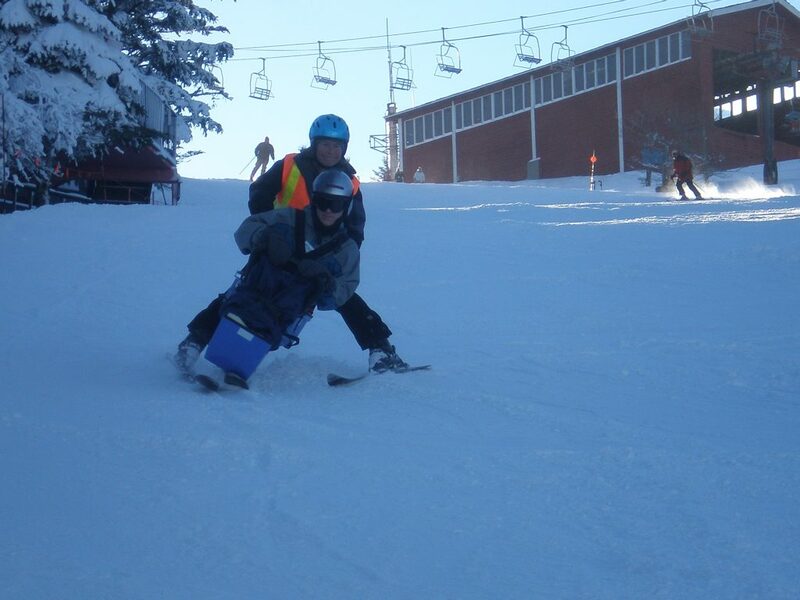 Thomas guiding an adaptive skier down the mountain at Beech. During her tenure at Beech Mountain, Thomas was able to do just that for professional rock climber Timmy O’Neill’s paraplegic brother Sean. In 2005, 2006, and 2007, Thomas traveled to Yosemite National Park and served as ground and summit logistics crew for the O’Neill brothers on their adaptive big wall summits of El Capitan. Those trips left such an impression on her that when she heard about the Atlanta-based adaptive sports organization Catalyst Sports, directed by Eric Gray and inspired by the Colorado-based Paradox Sports (which Timmy O’Neill co-founded), Thomas immediately enlisted her help. 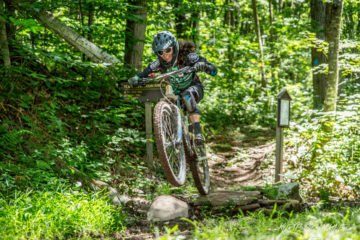 She’s now the Regional Director for the Boone chapter of Catalyst Sports, and says that she is excited for the future of adaptive adventure sports. Kim Jochl and Fear have a love-hate relationship. Jochl is very much aware of Fear’s presence, but instead of letting it hinder her from trying new things, Jochl takes Fear by the horns and grapples it to the ground. 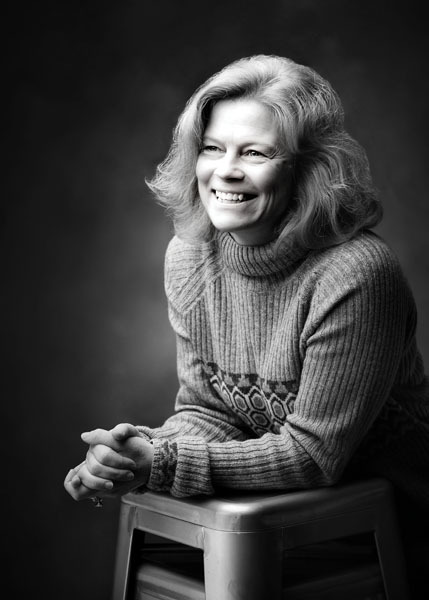 It’s that unwillingness to bow down to Fear that landed Jochl on the United States Alpine Ski Team from 1986 until 1997, pushed her to earn her pilot’s license (despite being afraid of flying), and thrust her into the literary world as an author of two books. 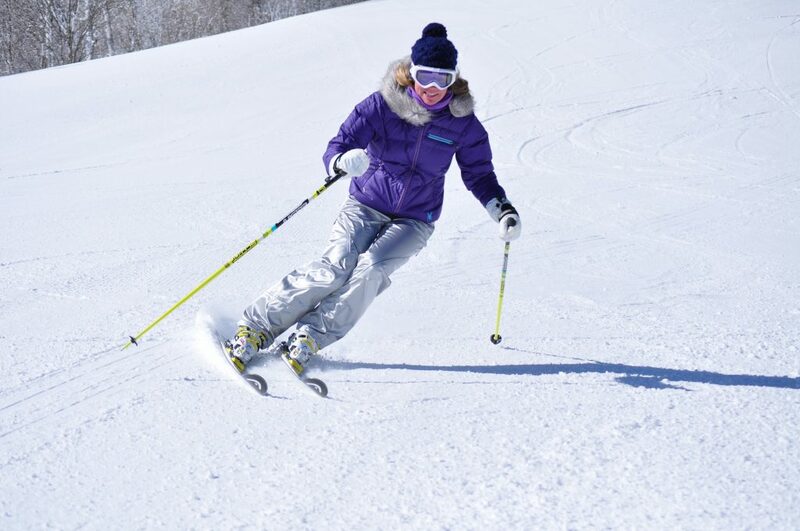 After being forced to retire from ski racing due to a number of injuries, Jochl moved to western North Carolina in 1993 to work for Sugar Mountain Resort as the resort’s Special Events Director. 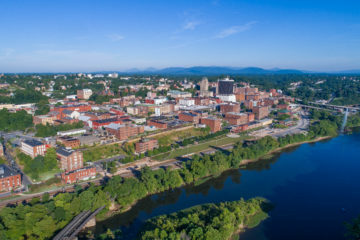 For the Massachusetts-born daughter of an Austrian ski coach, the move to North Carolina was one she never anticipated. 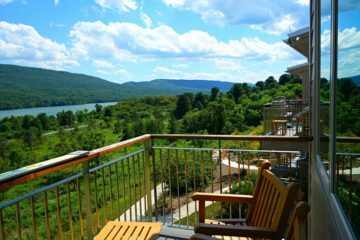 Jochl eventually married Sugar Mountain Resort owner Gunther Jochl, and together, the power couple now manages the booming resort. Gunther has been a pilot since the early 1980s, and though Jochl had flown multiple times domestically and internationally for ski competitions, she found herself increasingly fearful of flying. Never one to back down from a challenge, Jochl went with the latter, and in 2013, she received her pilot’s license. While she was learning to fly, Jochl took pages upon pages of notes, laying out the specifics of her training and debriefing her lessons. Her scribbled notes eventually led to two books. Her first is a memoir titled Fly Baby: The Story of an American Girl, and her second, released just last year, is an autobiographical account of learning to fly called The Aviatrix: Fly Like a Girl. 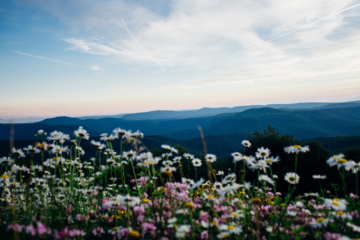 Jochl never dreamed of publishing any writing, short of the press releases and marketing material she creates for Sugar Mountain. But she says that once she acknowledged her fear of failure, she was able to open up and truly enjoy the writing process.